After very successful previous IoT Week editions that have been hosted in major European cities like Barcelona, Berlin, Venice, Bled, Helsinki, London, Lisbon, Belgrade and Geneva, our next stop is Bilbao. 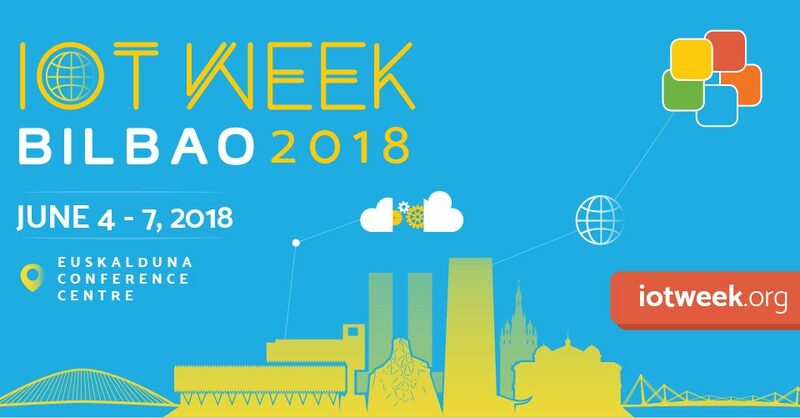 The IoT Week 2018 will be co-organized by the IoT Forum and IK4-TEKNIKER and it will take place from 4th to 7th of June 2018 at Euskalduna Conference Centre. During the IoT Week 2018, the Euskalduna Conference Centre will host prominent IoT experts, researchers, IoT focused companies, research centres, European research projects, start-ups and international organizations to meet, discuss and identify emerging trends and technologies that will impact the future. In parallel with the main conference programme, participants will have the opportunity to join workshops, take part in the hackathon competition, and attend the Exhibition Area showcasing the latest IoT-related projects, demos and products. 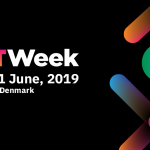 For the second year in a row, the IoT Week will host and co-locate the Global IoT Summit (GIoTS) endorsed by IEEE and driven by the IEEE Subcommittee on IoT and the IoT Forum, to select and present cutting edge scientific articles on IoT innovations and latest research results. Same as last year, GIoTS registration will include a pass to the IoT Week sessions. INTERESTED IN HOSTING IOT WEEK 2020?